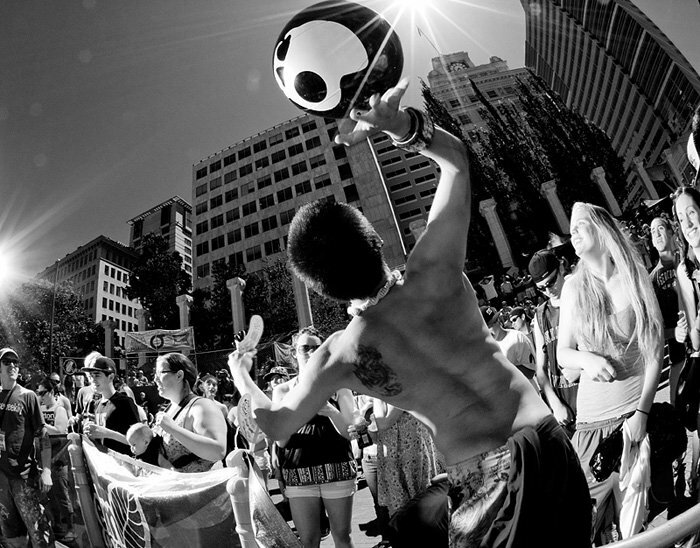 Portland has a reputation for being a weird city. 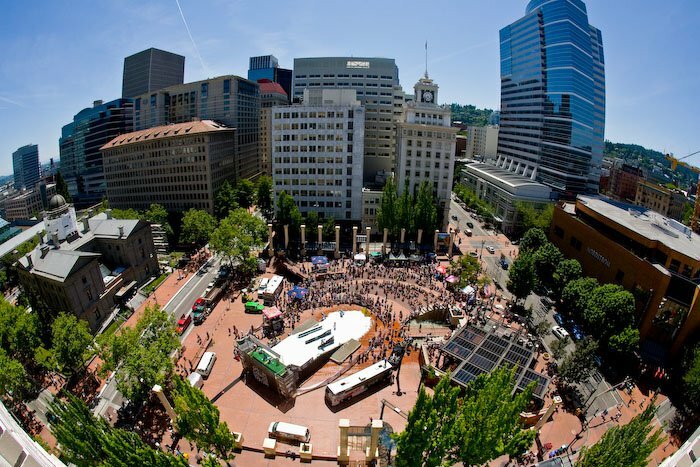 Even as a PDX local, you're bound to stumble upon new oddities nearly every day. 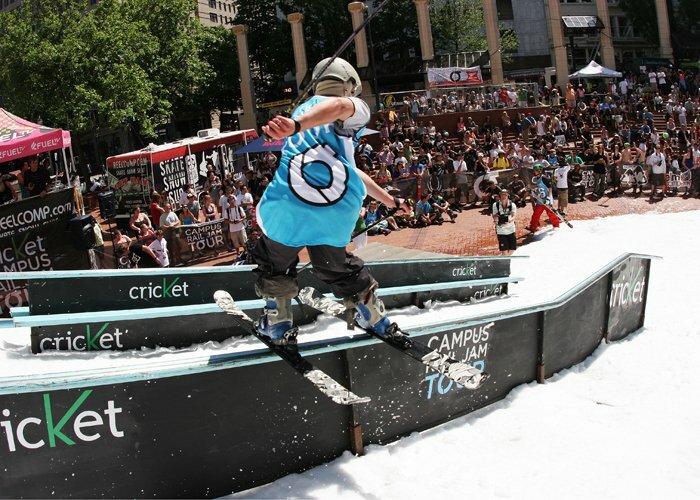 But even with weird as the norm, the Cricket Campus Rail Jam Tour turned up the bizarre even more and transformed Portland into a downright freak show. 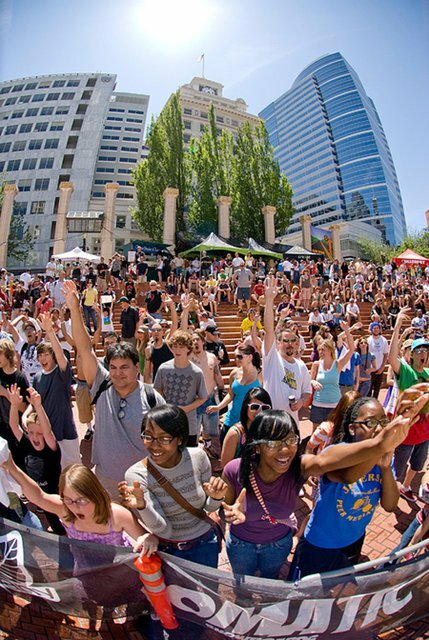 Something about snow in the summer attracts the most awesome/interesting amalgamation of human beings one will ever witness. 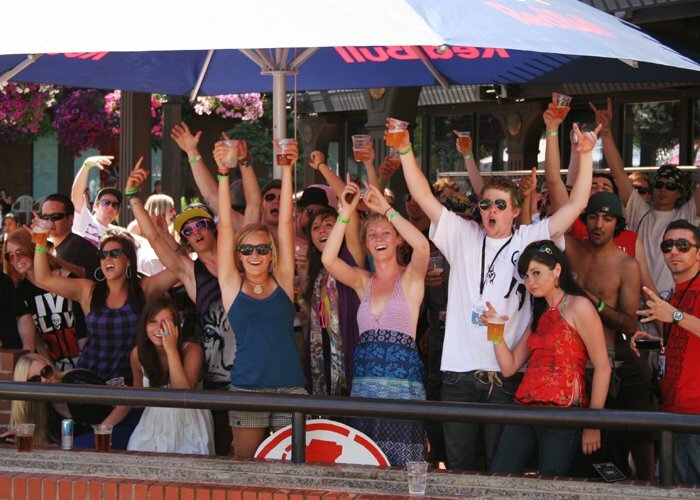 30 tons of snow and the nation's best college shreds may have been the main attraction, but when the beer started flowing and the vagrants came out of the woodwork, the day turned into much more than your average rail jam. Getting the setup primped and primed! 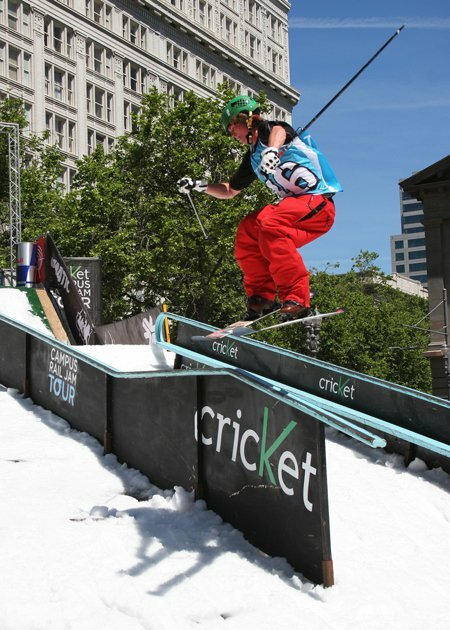 Last Saturday, the finals of the 2009 Cricket Campus Rail Jam Tour took over Pioneer Square with an all out shred celebration. 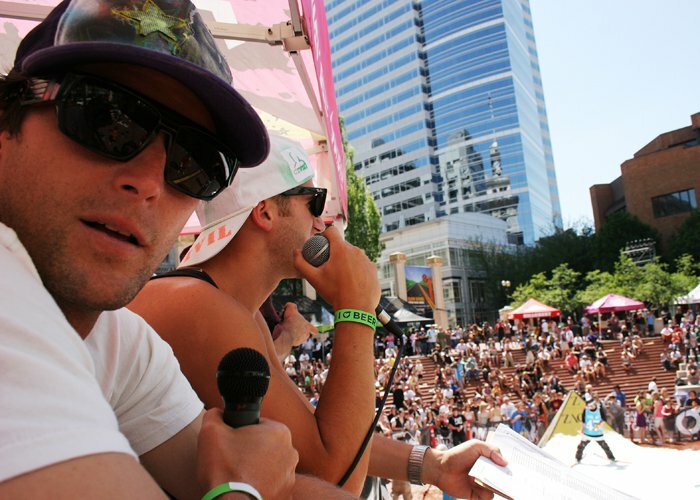 Industry folks were downing beer and generally bro-ing, Todd Richards was making fun of people on the mic, and riders were absolutely slaying the rails for $6000 in prize money. Business yuppies mixed with burly street dwellers and skiers mixed with meth heads in a beautiful mess of snow and sweat. 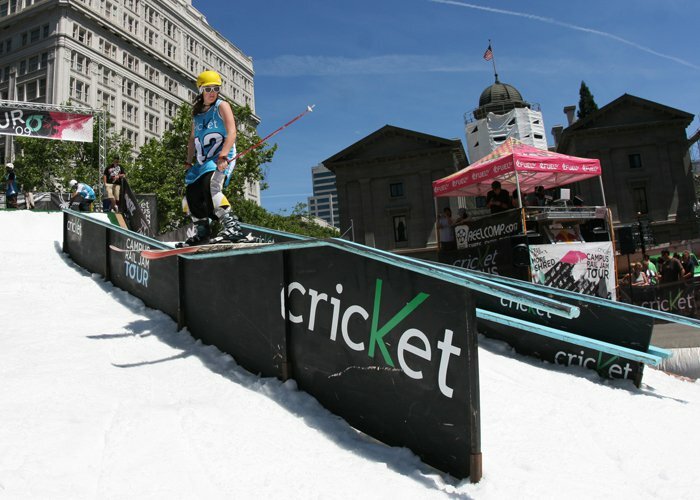 60 of the west's top rippers made the trek to Portland to ride with the best amateur snowboarders and get loose on Cricket Wireless' tab. 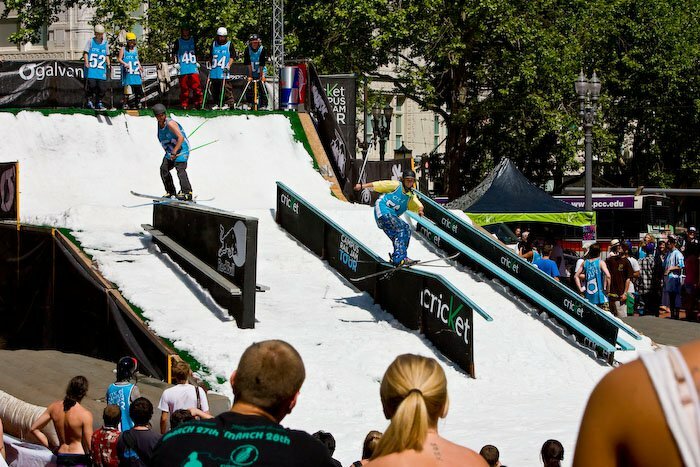 The three-feature setup was blanketed in 60,000 pounds of glacier flakes from the good people at Timberline and positioned in the heart of downtown P-town. After showering the snow with bags of salt and tapping the kegs from Miller High Life and new brew Lat 44, the event kicked off with a bang and riders dropped some serious hammers on the setup. 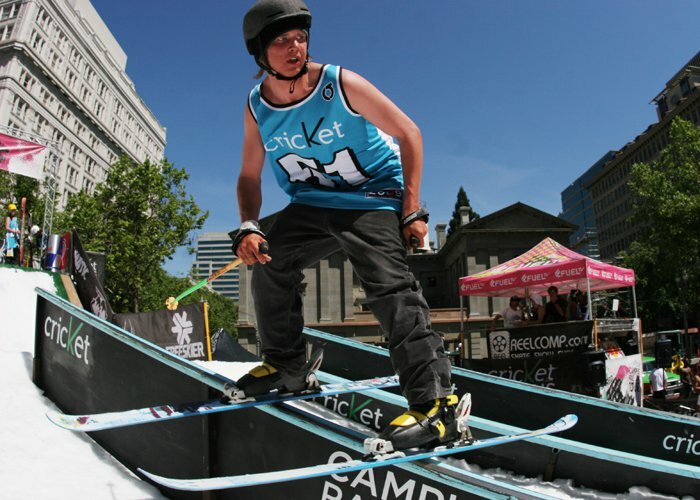 Who said poles are useless in a rail jam?! The 90-degree heat made things interesting, turning the landing into sloppy margarita slush, but that didn't seem to affect the top finishers as they put on the best show the Tour has ever seen. 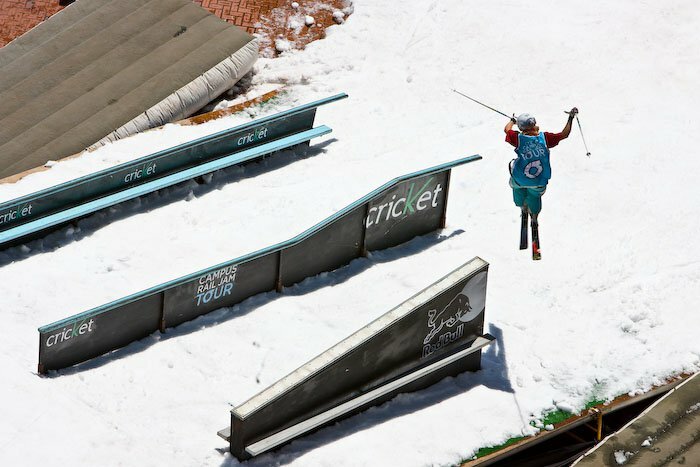 When the skiers started to drop, it was clear that things were going to get gnarly. From dueces on to 630s off, the skiers were getting more twisted than meth heads nearby. The Red Bull box was claiming some serious carnage, sending riders off the six foot drop of doom into the sketchy slush below. With the skier finals underway and the snow liquidizing fast, Karl Fostvedt got busy on the kink, dropping hammers and taking names. 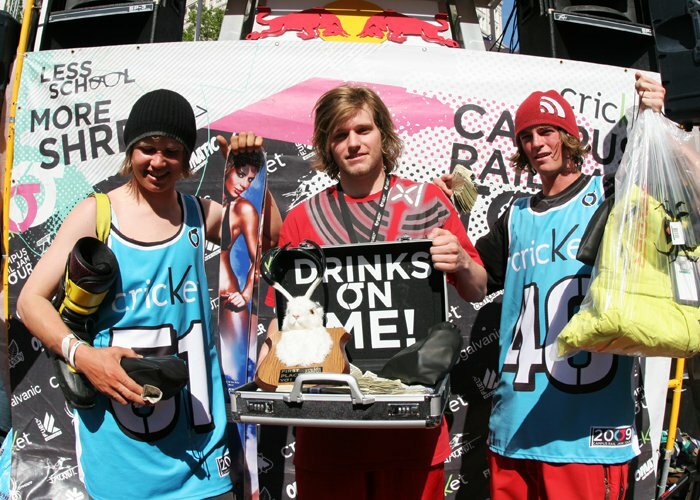 Karl racked up enough love for third place, scoring him some cash money and fresh Boone skis. Mcrae Williams landed in second with his two sevs and 450s off the d-f-d, picking up some benjamins along with Spyder gear. First place whiz kid, Collin Wright took home the big loot for the day with a killer performance on all three features and enough afterbang for all next season. 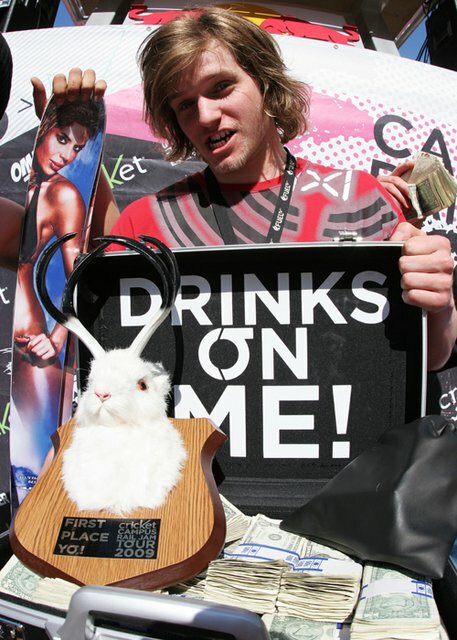 With $1,500 in cold hard Washingtons, Collin was all set to make it rain at the after party. Congrats boys! In between heats, product tosses meant tug-of-war with the bums, and a chance to dance for swag from Grenade and ELM company. 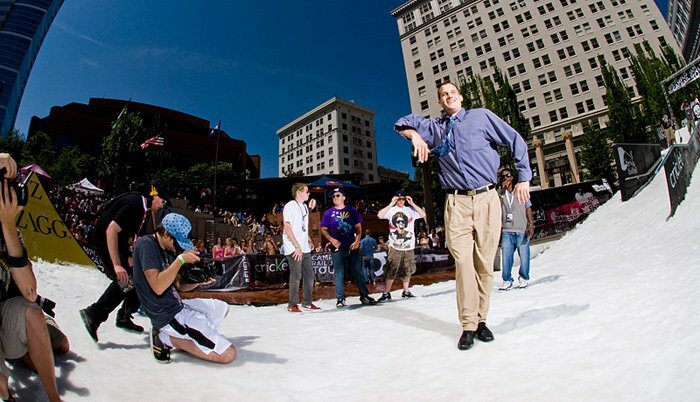 REELcomp was running around with cameras to get the shot for all the peeps stuck at home watching the live webcast. Highlights will be posted soon for anyone who missed it! 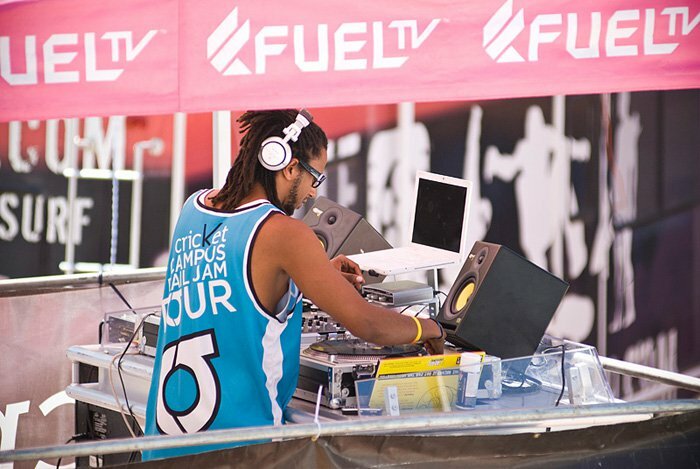 FUEL TV was also shooting for the Weekly Update, interviewing riders and spreading the love. 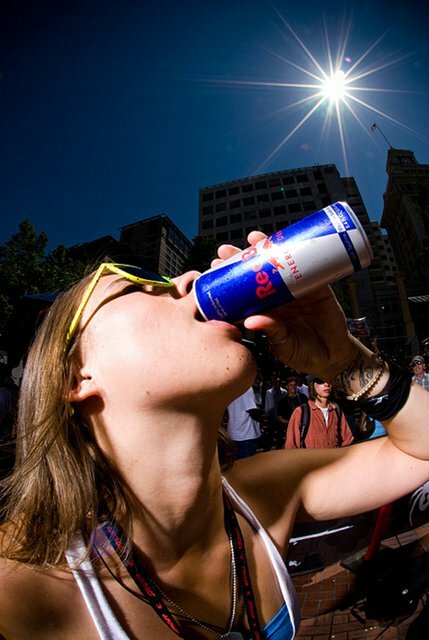 For those who were taking a break from beer consumption, Red Bull was providing glorious refreshment from the sun and stoking out the homeless with plenty of empty cans to trade in for change. Insurance salesmen can get hyphy too! 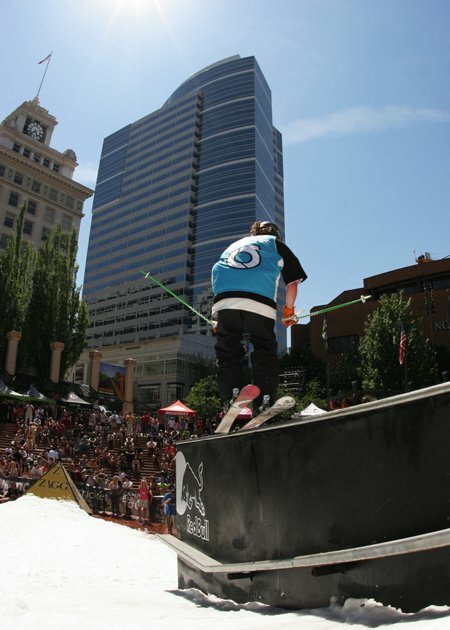 As for the lady thrashers, Lena Decrescenzo made it happen under the sorching sun, and earned second place on the podium. Lena's gangster shorts matched her gangster style, spewing swagger all over the rails. 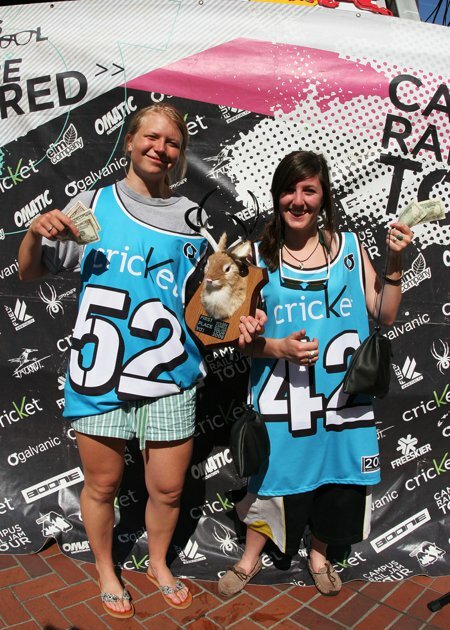 Destroyer, Catherine Warchall, made the trip from SLC to get wild on the set up and bring home the bacon in first. This girl can hang with the boys any day, watch yer back! Well, that's it! 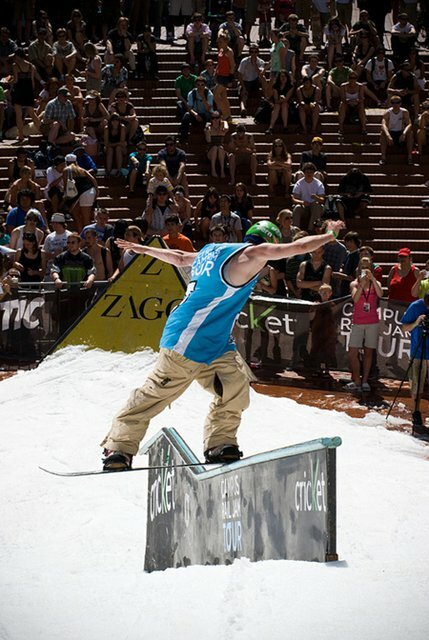 The 2009 Cricket Campus Rail Jam Tour is history! 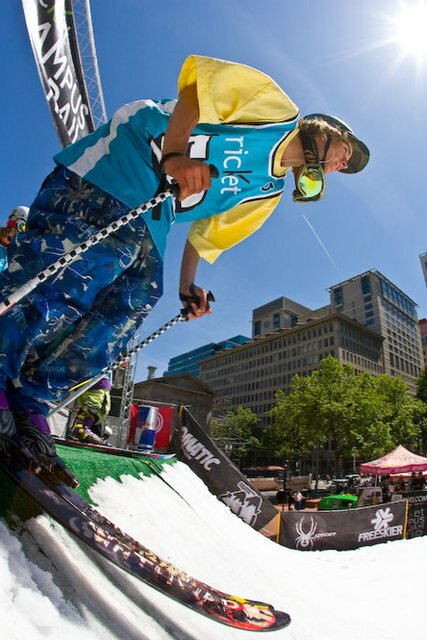 Thanks to everyone for making the Tour happen and helping to promote the amateur shred scene across the US. 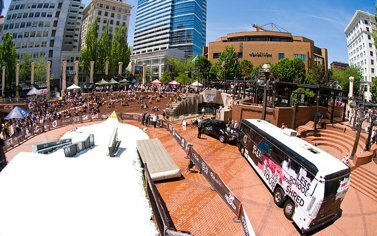 The Galvanic Design crew couldn't have done it without all the great support from the riders, schools, and companies that believed in the Tour and their goal of spreading the shred. Planning for 2010 is already well underway, so expect to see some BIG improvements, additions, and new surprises next year. 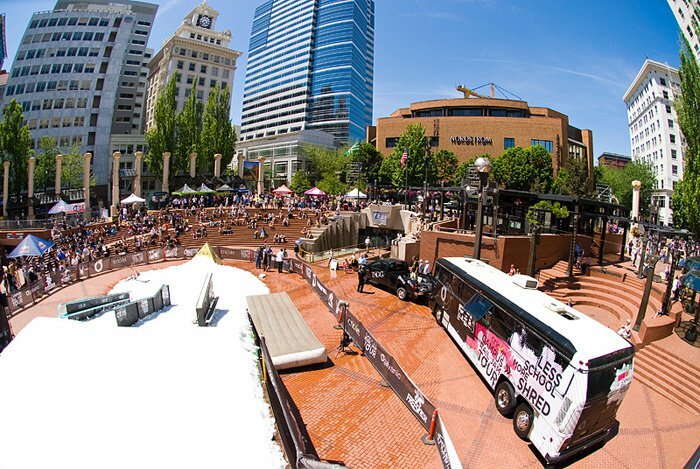 Stay tuned to http://www.campusrailjamtour.com for summer updates on what we are up to, and where we are heading next. We're out!